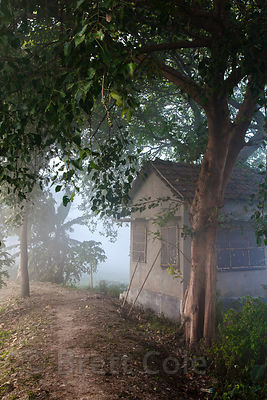 A rustic small cottage on a misty morning in the East Kolkata Wetlands, Kolkata, India. 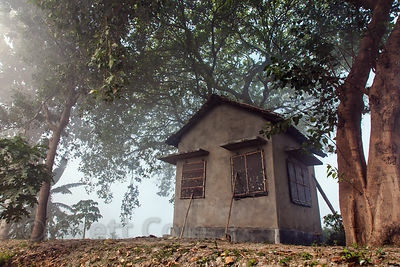 Teenagers from the town of Chingrihata smoke in a fishing hut in the East Kolkata Wetlands, Kolkata, India. 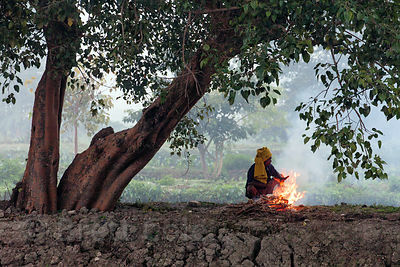 Small hand-rolled cigarettes are very cheap and widely available in Kolkata. 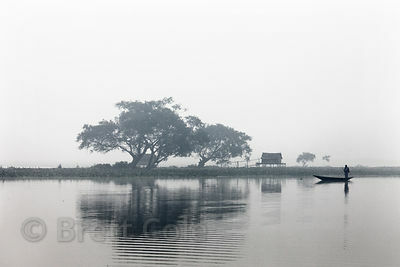 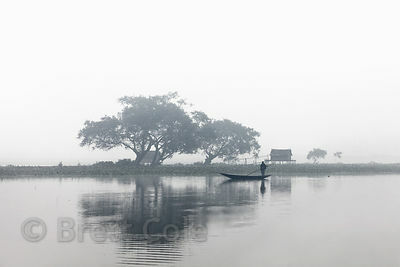 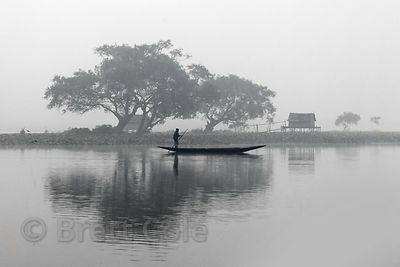 An idyllic, pastoral scene with a large tree, fishing hut, and boat on a foggy morning, East Kolkata wetlands near Chingrihata, Kolkata, India. 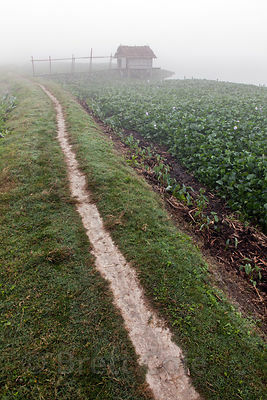 A footpath in the East Kolkata Wetlands, Kolkata, India. 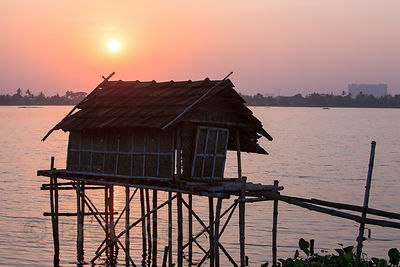 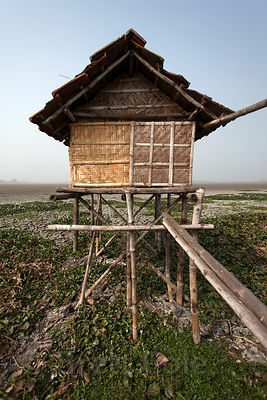 A fishing hut on stilts near Chingrihata, in the East Kolkata Wetlands, Kolkata, India. 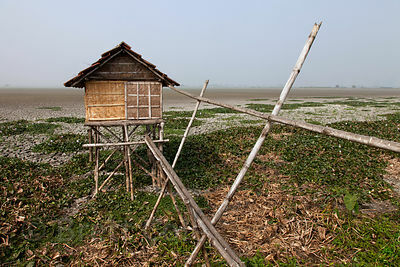 A fishing hut sits suspended over parched land in the East Kolkata Wetlands, Kolkata, India. 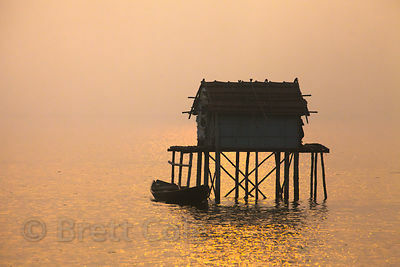 A crow lands on top of a fishing hut on a foggy morning in the East Kolkata Wetlands, Kolkata, India. 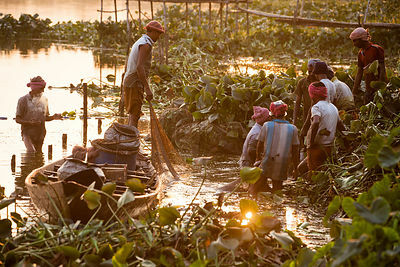 Fishermen light fires to keep warm early in the morning in the East Kolkata Wetlands, Kolkata, India. 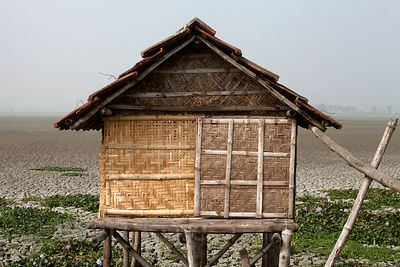 A small hut in the East Kolkata Wetlands, Kolkata, India. 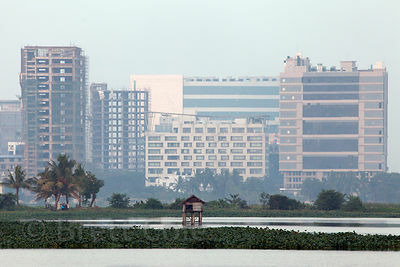 In the background is Salt Lake City, a planned satellite city in northeast Kolkata. 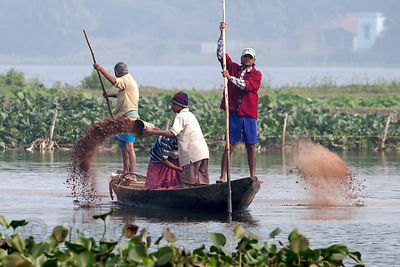 Men scatter soil into the waters of the East Kolkata Wetlands near Chingrihata, Kolkata, India. 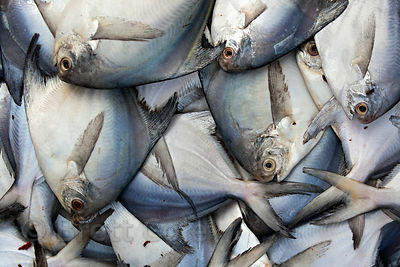 The purpose of this was related to fishing, but I am not clear exactly how. 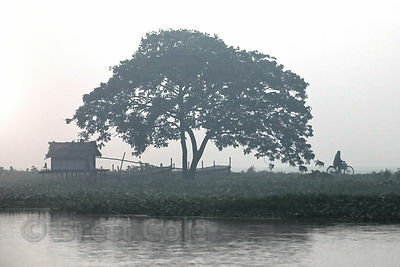 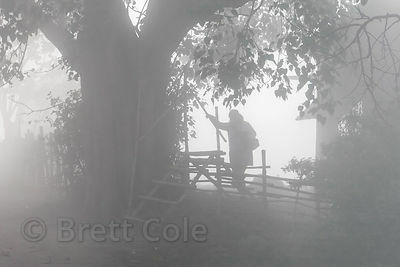 Ealry morning fog over a tree and fishing hut in the East Kolkata Wetlands, Kolkata, India. 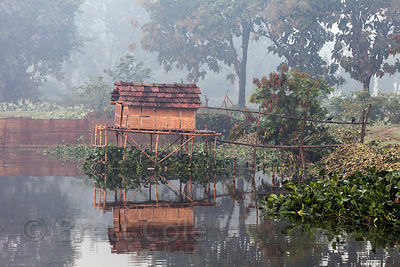 A fishing hut is reflected in the waters of the East Kolkata Wetlands, Kolkata, India. 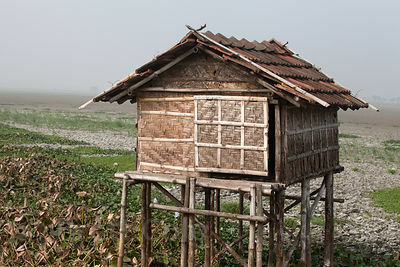 An abandonded fishing hut on the edge of the East Kolkata Wetlands, Kolkata, India. 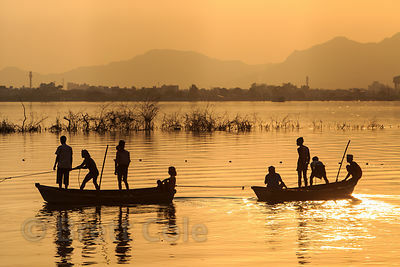 In the distance is the planned satellite city of Salt Lake City. 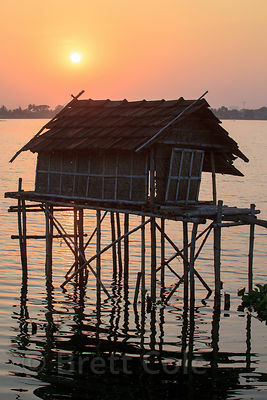 A fishing hut at sunrise in the East Kolkata Wetlands, Kolkata, India. 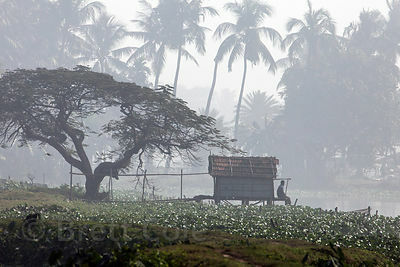 A farmer walks along a path in the East Kolkata Wetlands near Bantala, Kolkata, India. 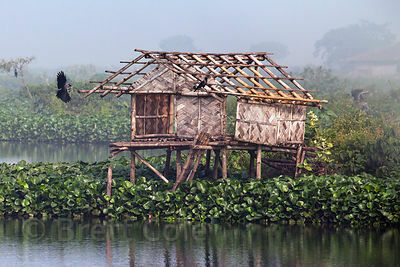 A fisherman rests at a hut in the East Kolkata Wetlands, Kolkata, India. 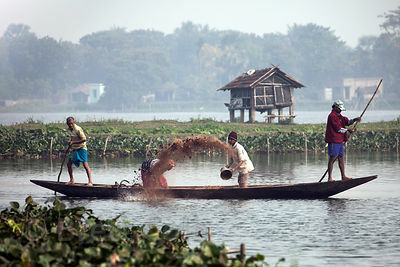 Cyclists pass a fishing hut in the East Kolkata Wetlands, Kolkata, India. 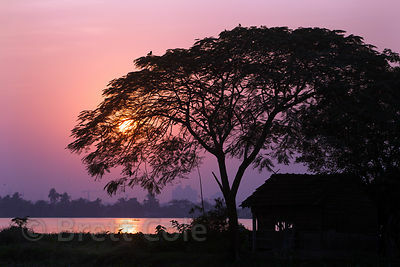 A large tree and a fishing hut are silhouetted at sunset in the East Kolkata Wetlands, Kolkata, India. 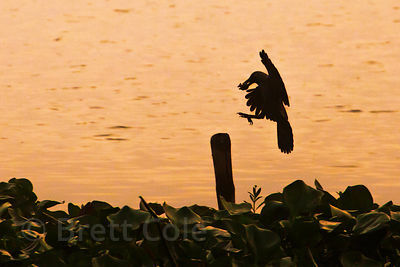 Cormorants (sp.) 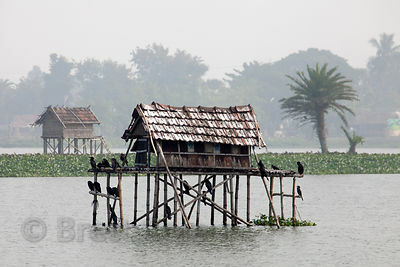 gather on a fishing hut in the East Kolkata Wetlands, Kolkata, India. 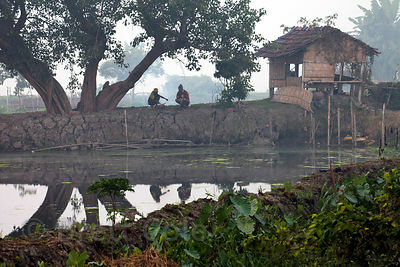 Distant view of a group of women in saris walking on a footpath in the East Kolkata Wetlands, Kolkata, India. 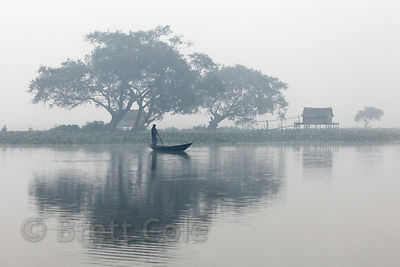 A woman is silhouetted as she walks along a path on a foggy morning in the East Kolkata Wetlands, Kolkata, India. 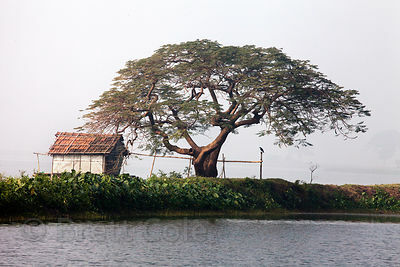 A fishing hut and a large tree in the East Kolkata Wetlands, Kolkata, India. 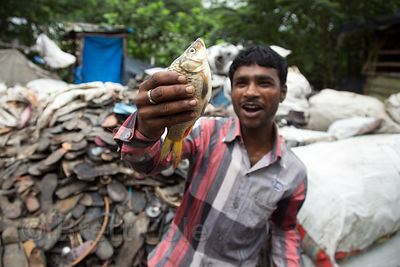 A man holds a small fish caught in a filty nearby creek at a rubber shoe recycling operation, Dhapa, Kolkata, India. 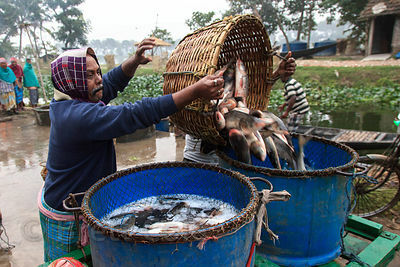 Dhapa is a large industrial zone that processes most of Kolkata's garbage and recycling. 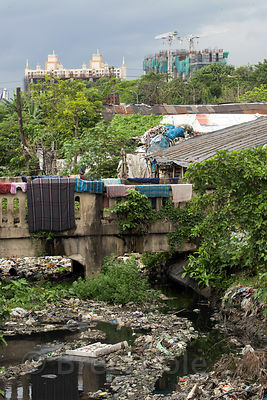 Garbage fills a putrid creek, Dhapa, Kolkata, India. 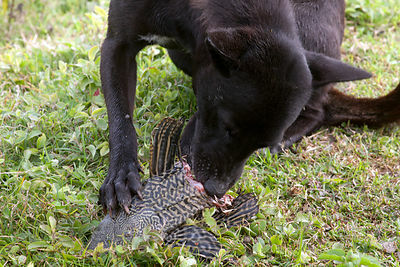 Locals eat fish from the creek. 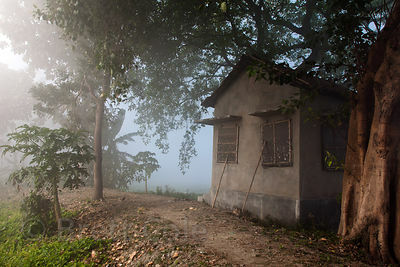 Dhapa is a large industrial zone that processes most of Kolkata's garbage and recycling. 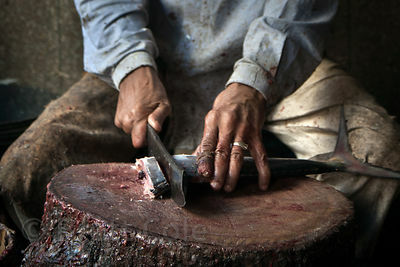 Families working in rubber shoe recycling, Dhapa, Kolkata, India. 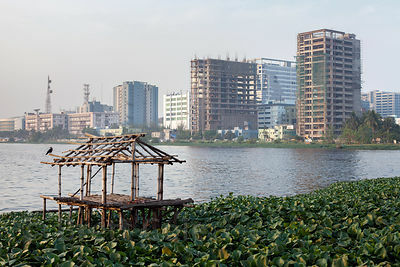 Dhapa is a large industrial zone that processes most of Kolkata's garbage and recycling. 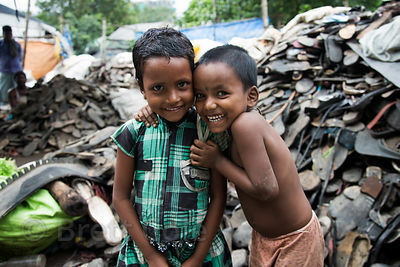 Children working at a rubber shoe recycling operation, Dhapa, Kolkata, India. 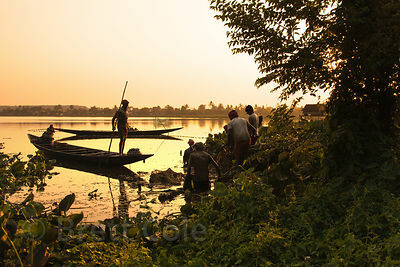 Dhapa is a large industrial zone that processes most of Kolkata's garbage and recycling. 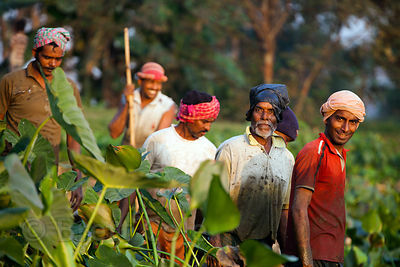 Father and son at a rubber shoe recycling operation, Dhapa, Kolkata, India. 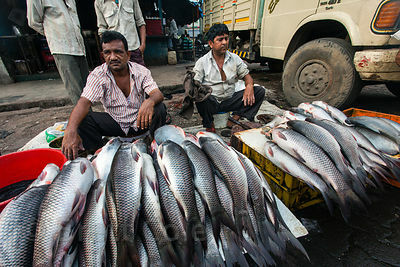 Dhapa is a large industrial zone that processes most of Kolkata's garbage and recycling. 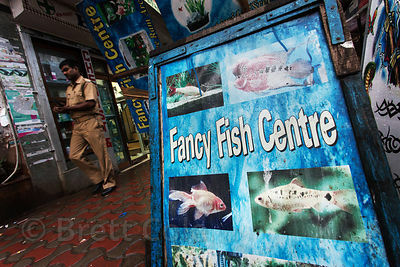 Fancy Fish Centre shop in Newmarket, Kolkata, India. 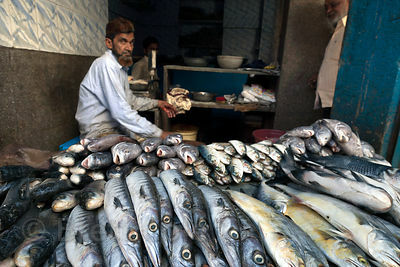 There is a brisk retail pet business serving India's middle and upper classes. 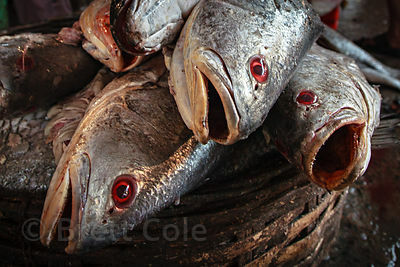 Conditions for the animals are often dismal. 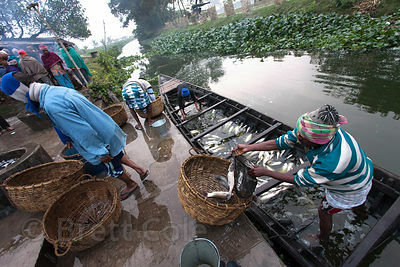 Fishermen unload the morning's catch at a small dock in the town of Chingrihata, East Kolkata Wetlands, Kolkata, India. 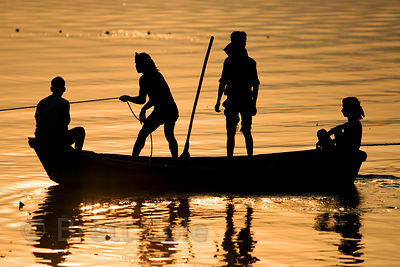 Fishermen pull in a catch on the Ganges River, Varanasi, India. 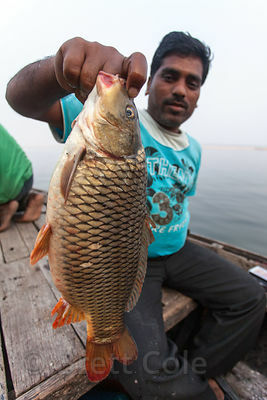 A fisherman holds up a fish on the Ganges River, Varanasi, India. 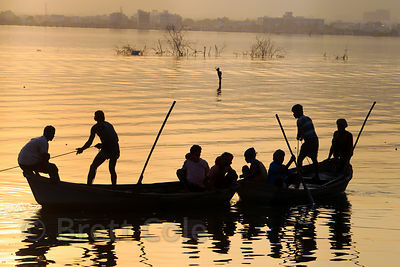 Fishermen beat the water with sticks to scare up the fish, East Kolkata Wetlands, India. 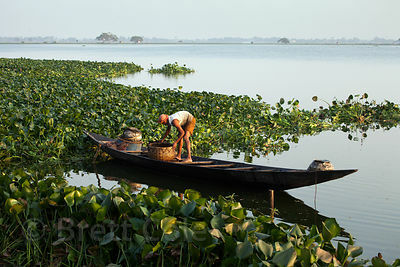 Fishermen gather fish from an area of hyacinth in the East Kolkata Wetlands, Kolkata, India. 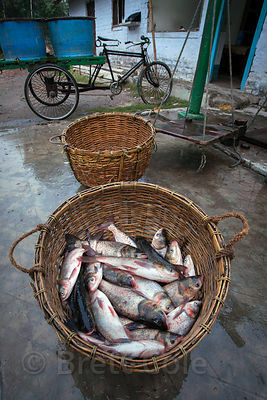 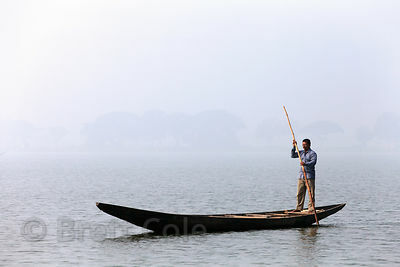 A fisherman collects fish in a basket in the East Kolkata Wetlands, Kolkata, India. 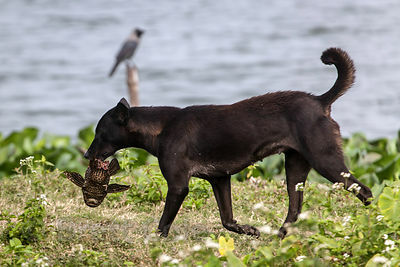 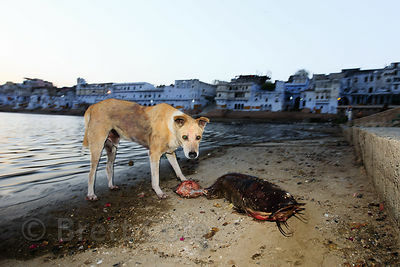 A stray dog eats a live fish given to it by nearby fishermen who are hauling in a net. 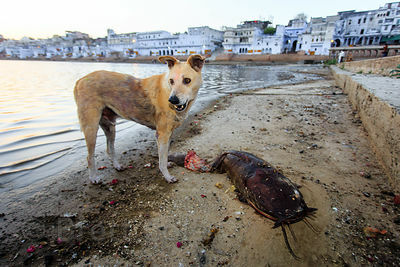 The dog two whole fish. 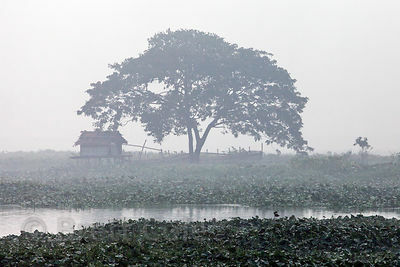 East Kolkata Wetlands, Kolkata, India. 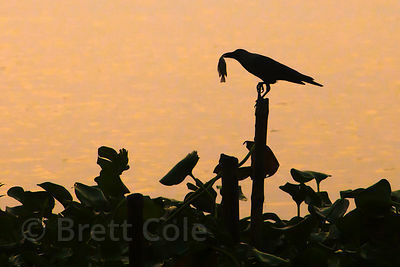 A cat lurks hungrily around the morning's catch of fishermen in Chingrihata, East Kolkata Wetlands, Kolkata, India. 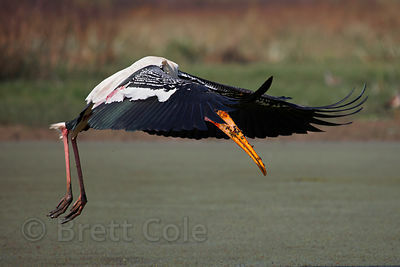 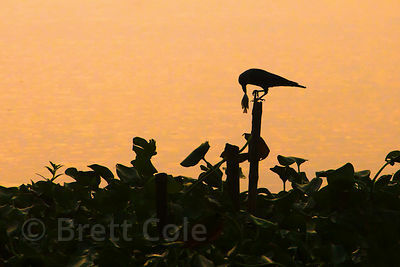 A silhouetted bird carries a small fish to a perch atop a stick, East Kolkata Wetlands, Kolkata, India. 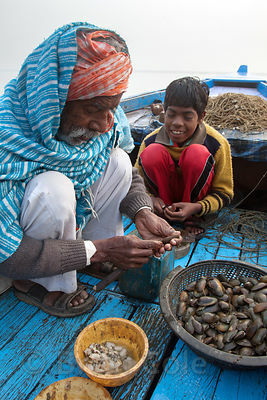 Fisherman and his grandson shucking clams (?) 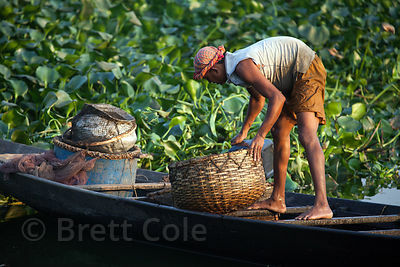 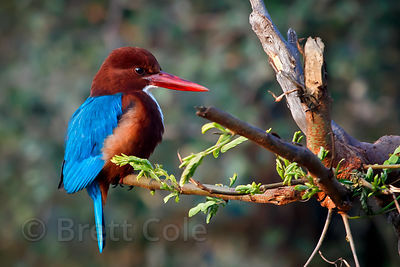 on the Ganges River, Varanasi, India. 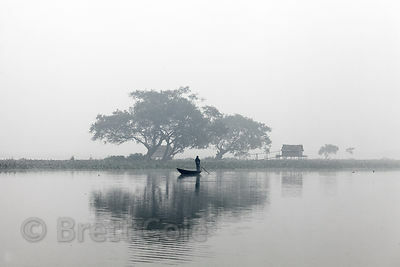 A fisherman in the East Kolkata Wetlands, Kolkata, India. 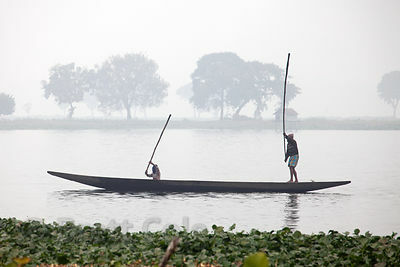 They use the poles for propulsion and to scare up fish by beating the water. 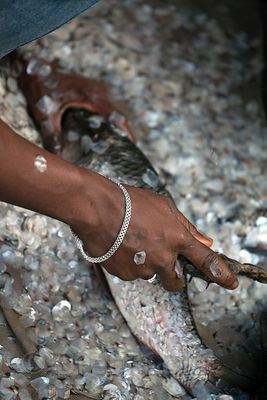 Fish for sale (sp.) 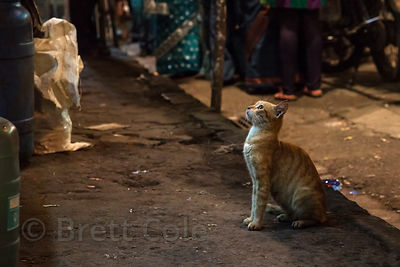 in Newmarket, Kolkata, India. 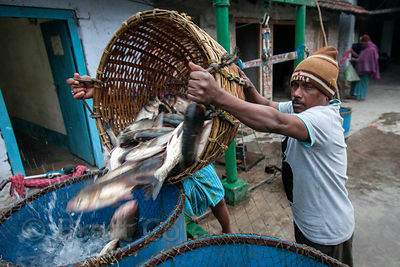 Fish being processed at a fish market in Shyambazar, Kolkata, India. 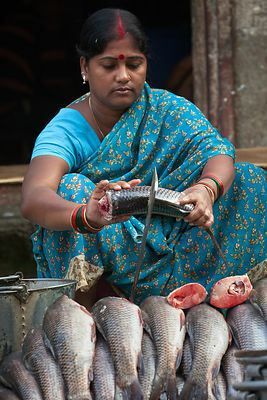 A woman prepares fish at Newmarket, Kolkata, India. 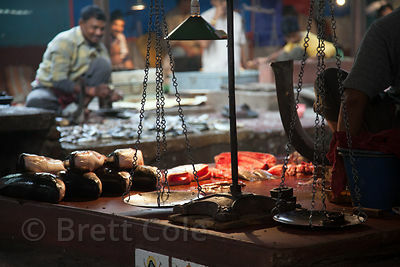 Rays being processed at the fish market, Newmarket, Kolkata, India. 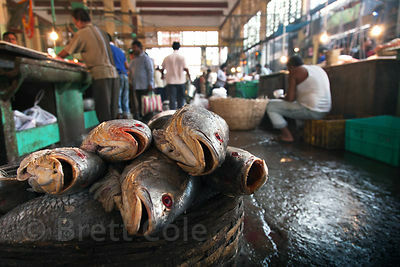 Unidentiied fish for sale at the indoor fish market, Newmarket, Kolkata, India. 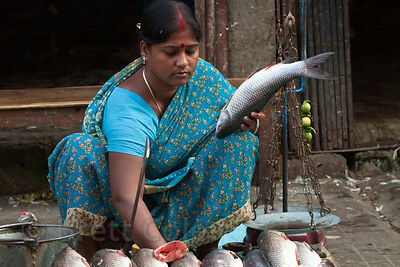 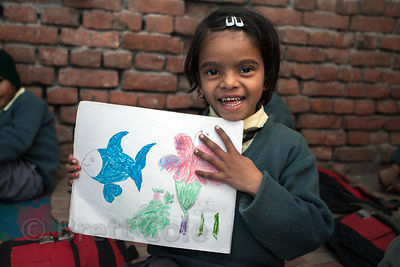 A woman scales fish at Newmarket, Kolkata, India. 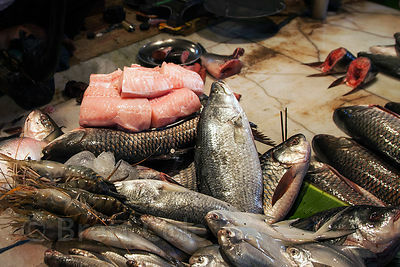 Fish and scales at a fish market in Shyambazar, Kolkata, India. 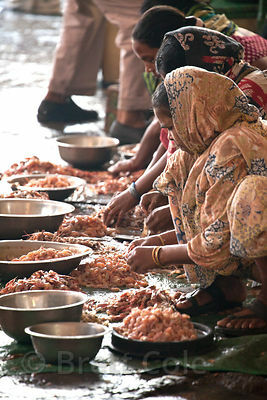 Women process shrimp at the fish market, Newmarket, Kolkata, India. 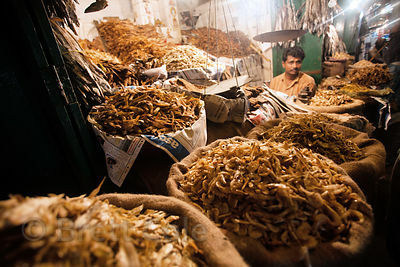 Dried fish for sale at a market in Bowbazar, Kolkata, India. 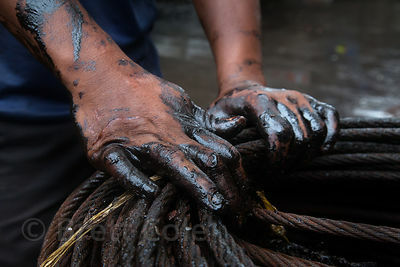 A worker's greasy hands on steel cables at the Sassoon Docks fishing area, Mumbai, India. 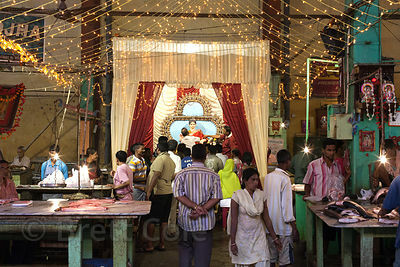 Here's something you've almost certainly never seen - an Idol of the Goddess Lakshmi at a pandal inside of a fish market, during the Lakshmi Puja festival, Newmarket, Kolkata, India. 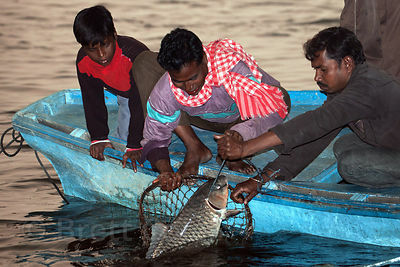 Boys from the Colaba fishing village in Mumbai, India haul in a net full of garbage. 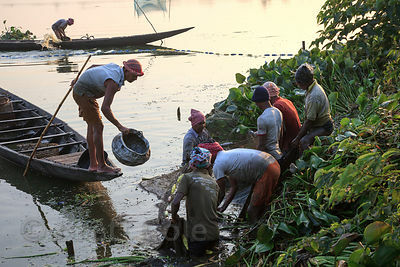 The boys bring the net back and dump it in an old wooden boat, then frantically sift through the garbage to yield an average of two or three tiny fish per net. 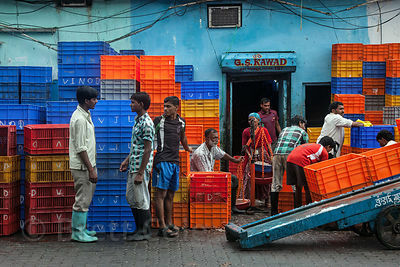 Colorful crates at a fish processing facility at Sassoon Docks, Mumbai, India. 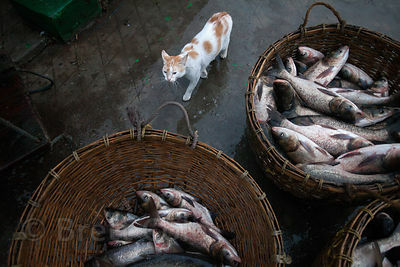 A cat waits patiently for a handout at a fish shop in Shekwalhi, Mumbai, India. 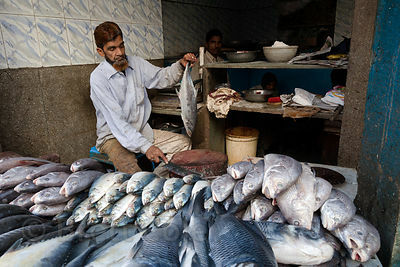 Fish-sellers in the Dharavi slum, Mumbai, India. 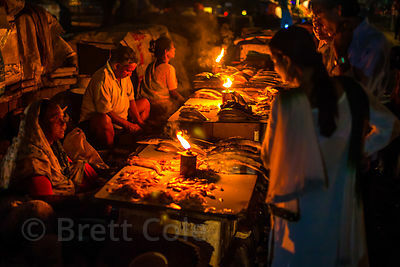 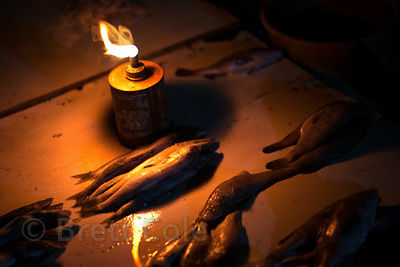 Fish for sale at night at a market in the Kokri Agar slum, Mumbai, India. 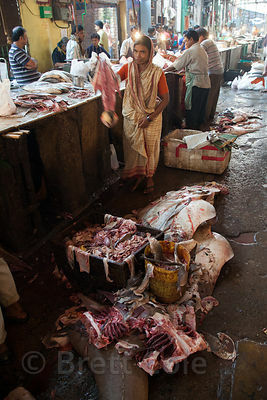 A woman helps her son with a drink at a market near Sassoon Docks, Mumbai, India. 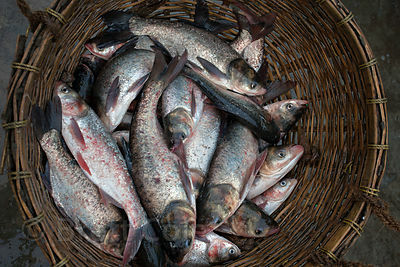 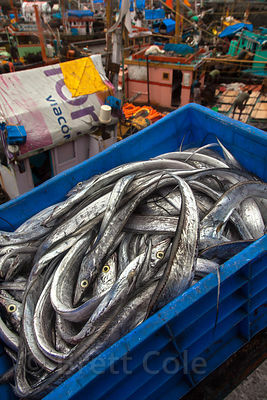 A crate of freshly caught fish at Sassoon fishing dock, Mumbai, India.